Of course, a limited budget means you're going to have to make sacrifices somewhere. The best area to "go cheap" on is clarity. Most people think a higher clarity equals a better-looking diamond, but that's not necessarily true. In our opinion, the clarity has the least effect on the appearance of the diamond. First of all, most flaws are too small to be seen with the naked eye. And secondly, no one is going to examine the diamond that closely. Usually, we don't recommend going below SI (Slightly Included). But if you just need to save just a bit more, an I1 diamond could be a smart buy if you know what you're doing. 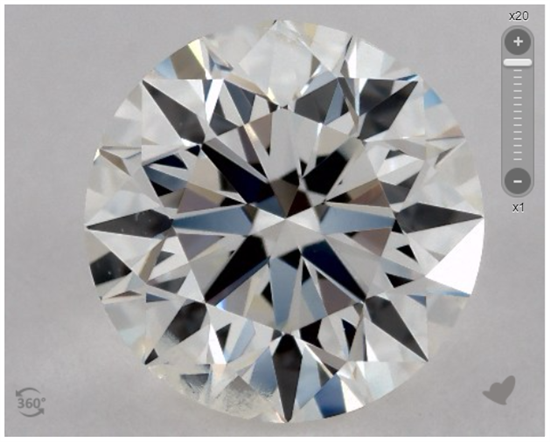 In this article, we're going to show you how to choose a beautiful I1 diamond. We'll be using real examples from James Allen, our favorite online diamond retailer. Our favorite online diamond retailer is James Allen. They have an HD 360-degree video for every diamond in their collection. If you're not sure if an I1 diamond will be eye-clean or not, you can get a real-time consultation and a diamond pro will evaluate it for you. I1 Diamonds: How Much Can You Save? The Included range of diamonds contains I1, I2, and I3. These are diamonds that have flaws easily seen under magnification and can sometimes be seen with the naked eye. Sometimes, these flaws affect the appearance and brilliance of the diamond. Sometimes, these flaws affect its durability. So what's the difference between I1, I2, and I3? I1 is at the top of the range. Its flaws are a little smaller and less noticeable. When you get down to I3, the durability of the stone becomes at huge risk. This is why I1 is absolutely the lowest of the clarity grades you should consider. 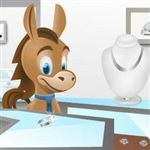 Most reputable diamond retailers do not sell anything under I1. 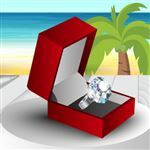 Pricewise, I1 diamonds offer amazing value if you find that one that appears flawless. Take a look at this comparison table below. 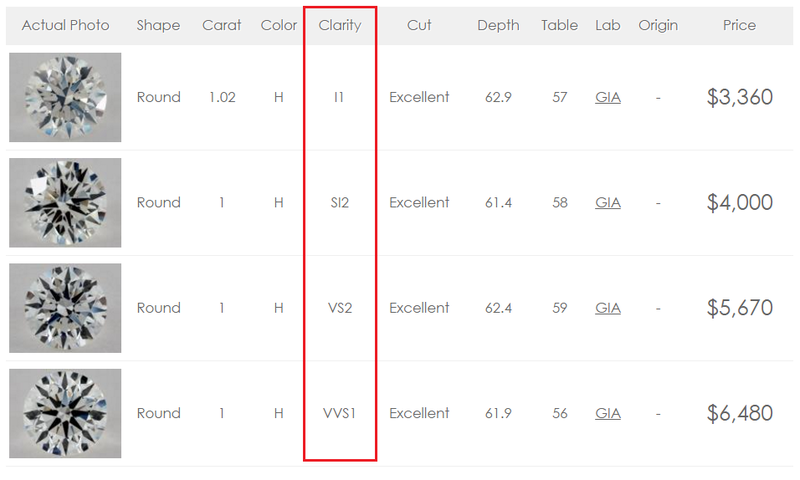 With the same carat, color and cut, you can see pricing for different clarity levels. Generally, we recommend VS2 as the safest bet, even if you're buying sight unseen. But as you can see, going down to I1 can save you a huge amount. And if you're on a budget, it means you can probably afford a better cut. But eye-clean I1 diamonds do exist! Here are a couple of examples. These diamonds are rare but not impossible to find. Now, let's go over how to pick out these hidden gems (pun totally intended). The idea is to look for a diamond that appears flawless, or one that has flaws that can be hidden with a setting. Look for inclusions along the edge. The worst locations for flaws are right under the table facet. Inclusions located at the edges are less noticeable and can be hidden with prongs. Inclusions in the pavilion (the bottom part) can be hidden in a bezel setting. 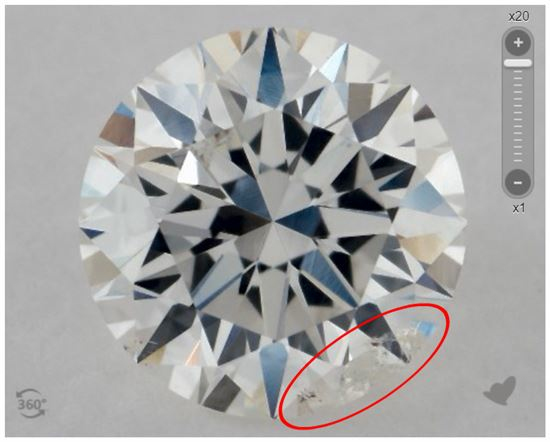 For example, this I1 diamond below has most of its flaws along the edge. This can be partially hidden with a prong. Look for spread out inclusions that are less visible. White inclusions (such as a white crystal or white feather) are the best kind of flaws because they blend in. Clouds that are well scattered also look less visible. The worst kind of flaws are the dark crystals right under the table facet, which will look like dust specks that you just can't rub off. The diamond above is also a great choice for an Included diamond. It has spread out clouds that you won't be able to see with the naked eye. And again, the hazy bit along the edge can be hidden with a prong. Put your money into the absolute best cut possible. Cut becomes extremely important the lower you go in clarity. An ideal cut diamond will give off the most brilliance. And in this case, you want as much sparkle as possible to hide the flaws. I1 works best on smaller diamonds. It'll be much harder to see flaws on a small, super sparkly diamond than a larger one. If you must buy an I1 diamond, it's best that it's less than 1 carat. I1 doesn't work for all shapes. Diamonds cut for maximum brilliance (such as round, princess, radiant) hide flaws with their intense sparkle. But step cuts (such as asscher and emerald) have a large table that peers deep into the diamond, easily revealing clarity flaws. We recommend no less than VS2 for those shapes. Make sure it is certified by GIA or AGS. These are the two most reputable labs in the world. They have the highest, most consistent grading standards. An I1 diamond graded by another lab may actually be even worse, such as I2 or I3. Never buy an I1 diamond blindly. Never, ever buy a diamond without seeing it in detailed to make sure you're okay with the flaws, or at the very least, you should see an HD magnified photo/video (like what James Allen provides). It's just too unpredictable otherwise. An I1 diamond is a great way to save some serious money. And it is not impossible to find one that is eye-clean. You'll just have to put a little bit more work into searching for the perfect stone. There is absolutely no shame in buying an Included diamond. An eye-clean I1 diamond is the best bang for your buck. And it's a smart move if it means that you can afford a better cut. Just don't ever buy one without at least seeing magnified photos. Share on Facebook "I1 Diamond: Best Diamond Clarity on a Budget"